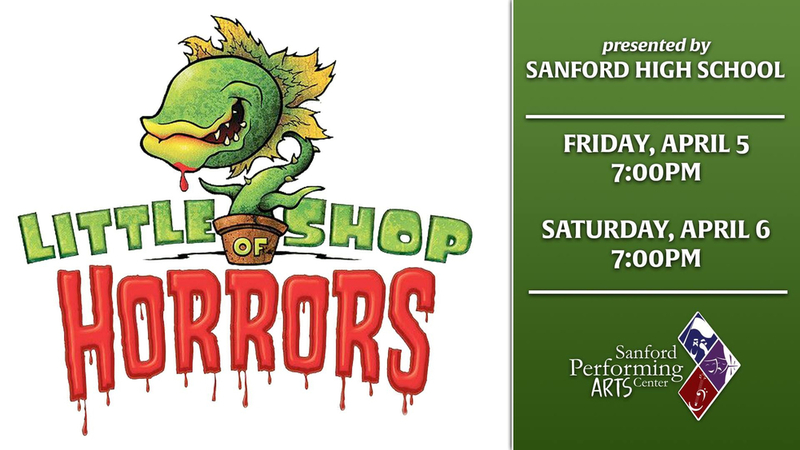 SHS presents the musical, “Little Shop of Horrors” at the Sanford Performing Arts Center this Friday, April 5 and Saturday, April 6 at 7:00pm. Students have been hard at work on the show since January and preview audiences this week are raving about this production! For tickets and info, visit www.sanfordpac.org. “Little Shop of Horrors” is the first full-length production in the new SPAC, and the first SHS musical in a decade. Check out this great article about the production in this week’s York County Coast Star. Come see this outstanding performance and show your support for our students and the arts!